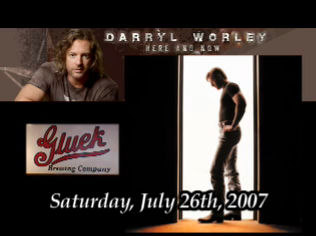 Saturday, July 28th, 2007, Gluek Brewing Company will celebrate their 150th Anniversary by holding a special concert at the Distribution Center on the north side of Cold Spring, MN. 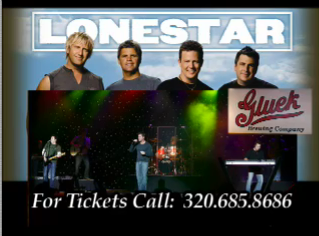 During the concert they'll present country stars Jamie O'Neal, Darryl Worley, and Lonestar. Get your tickets by calling Gluek Brewing Company @ 320.685.8686 or online at Wild Country Radio . Doors open at 4:00 pm. Tickets are $30, and are available at Gluek Brewing Company, the Wild Country 99 studios, or online by clicking HERE! No age requirements or ticket limits! Ø Cash, Credit or check is accepted. All sales are final. Rain or Shine. No Exchanges or refunds.